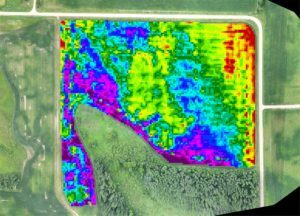 A Drone service provider in Minnesota has devised an innovative method of estimating crop yield and analysing the health and vigor of plants—using a drone-sourced surface model to visualise biomass. 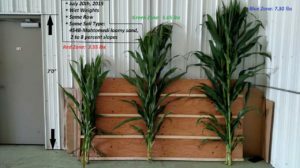 Over the past year, agronomy service provider Anez Consulting of Little Falls, Minnesota, has begun employing what appears to be a unique method of analysing crop health and estimating yields: when methods such as NDVI analysis struggle to illuminate in-field variability, its team uses specialised software (That RocketMine also uses) to transform drone imagery into a digital surface model (DSM), which is used to visualise the biomass variability of full-canopy crops. According to Dunn, mapping out relative biomass can enhance the estimation of crop yields, validate management zones and more. In order to verify the validity of the relative biomass mapping method, Dunn and his team sampled corn from the same field based on the relative biomass map above. Where plant population is high, plants will naturally grow taller as they compete for sunlight, which should result in higher biomass. 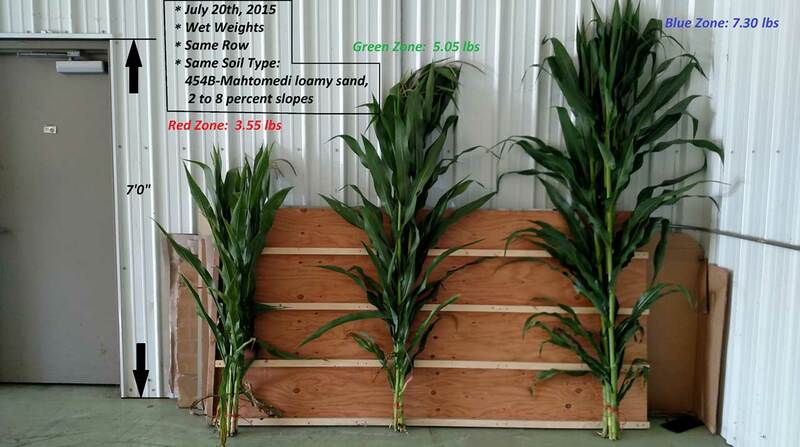 Where plant population is lower, even on good soils, plants will grow shorter, resulting in lower biomass. With Precision Agriculture becoming a norm in the United States of America, will South African’s also follow the cost-cutting measures? Contact RocketMine to hear more about our Precision Agriculture strategies for you.